Mr. Currie in happier times. 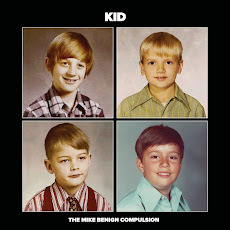 The Mike Benign Compulsion and its various associated corporate entities, domestic and overseas, are delighted to bring the "Here's How It Works" junket to the greater Chicago area in April and May. 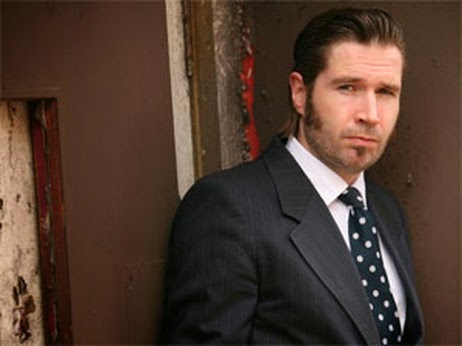 First up, two acoustic shows opening for the inimitable* Justin Currie, purveyor of three sublime solo albums and a slew of top-notch records with Del Amitri. If you haven't heard Mr. Currie's latest, "Lower Reaches," then you deserve whatever you get. Then, to give the brand new and critically-not-panned "Here's How It Works" LP a full-volume Chicagoland rogering, The Compulsion rocks Elbo Room in sweaty, electric majesty as part of a three-band bill on Friday, May 9th. Fear not, ye patrons of the over 40 variety: TMBC takes the Elbo Room stage at 8:30 pm. This affords plenty of time for post-Compulsion activities ranging from further rocking and alcohol consumption, to smoking cigarettes aplenty outside the club, to settling up with babysitters post-show to delicious and glorious sleep. **Actually, that's not exactly the meaning. But on the scale of Reasonably Awesome to Totally F*cking*** Awesome, Mr. Currie is way toward the latter end of the scale. ****They're everywhere. Still. And it's 2014. What the heck?